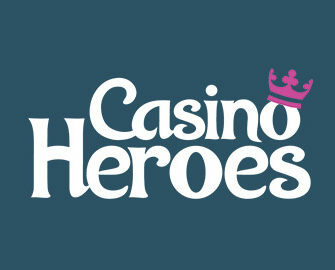 Casino Heroes – Oktoberfest 2017 / Week 42! Enjoy 4 days of Free Spins, no deposit needed! The party is heating up and so are the offers at Casino Heroes this week. Start Monday by racing with double speed through your adventures and beat the Boss faster than usual. The prepare for four days of Free Spins, no deposit required for all players who deposited at least once in the last 60 days. Join the party and get your share of the Oktoberfest treats! 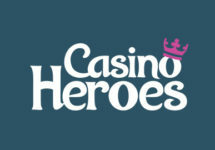 Get ready for a month full of fun, entertainment and special rewards as Casino Heroes launched its 2017 “Oktoberfest” campaign. Daily offers will make sure that everyone is enjoying the party with extra tournaments, casino offers and Free Spins. Bonus terms and conditions apply to all offers, always read them carefully. Race against The Boss until 12:00 CET and complete the progress bar with double speed. Spin with minimum €0.20 to advance twice as fast in the adventure. Enjoy 10 Free Spins on Prosperity Palace, no deposit required if you deposited since 17th August 2017. Find them in your Treasure Chest until 23:59 CET. Spins expire after midnight, while winnings from them need to be wagered 40x. Enjoy 10 Free Spins on Mayana, no deposit required if you deposited since 18th August 2017. Find them in your Treasure Chest until 23:59 CET. Spins expire after midnight, while winnings from them need to be wagered 40x. Enjoy 10 Free Spins on Viking Gods: Thor and Loki, no deposit required if you deposited since 19th August 2017. Find them in your Treasure Chest until 23:59 CET. Spins expire after midnight, while winnings from them need to be wagered 40x. Enjoy 10 Free Spins on Ice Breaker, no deposit required if you deposited since 20th August 2017. Find them in your Treasure Chest until 23:59 CET. Spins expire after midnight, while winnings from them need to be wagered 40x. Deposit €10 to instantly receive 20 Free Spins on Vikings Go Wild. Wagering requirement is 40x FS winnings within five days.